What does a newcomer to Taiwan do on her first day off, a paid holiday? 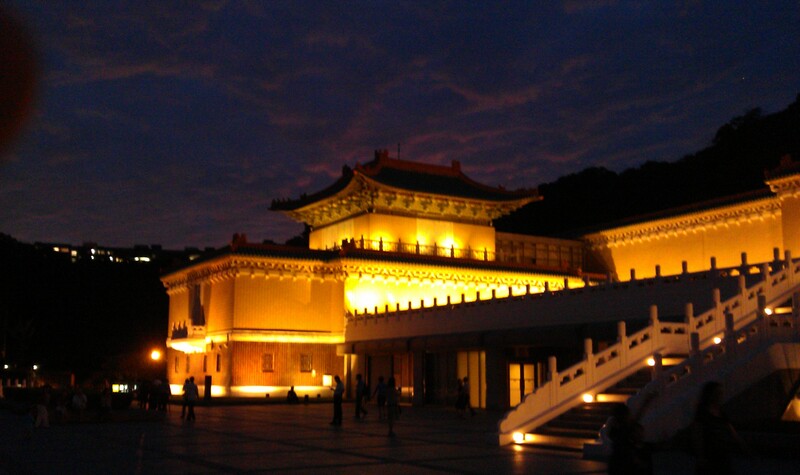 She gathers some friends and goes to the National Palace Museum, of course! One 300NT taxi ride and 30 minutes later, we climb out to witness a jaw-dropping sight: a former palace that now houses thousands of years of Chinese art pieces on three of the four floors of the main building. Someone said that if the exhibits were rotated quarterly for the next 23 years, you would see something new every time and still not see it all – and I believe it. No photo-taking was allowed so my mere words will have to suffice to describe the various items. We saw incredible objects carved out of every imaginable color of jade. My personal favorite was the [calligraphy] brush wash carved to resemble a curved lotus leaf. The showcase piece was no more than 8″ tall carved out of a single piece of white and green jade to look like bok choi with a little green grasshopper on it. It was apparently part of a bride’s dowry and appeared in all manner of much lesser forms throughout the museums many gift shops! Bronze cauldrons, copper daggers inlaid with gems, porcelain pillows (pillows? ), intricate carved jade, ancient documents, ethereal paintings of mountain scenes (one was at least 50″ long! )- each item more amazing than the next! 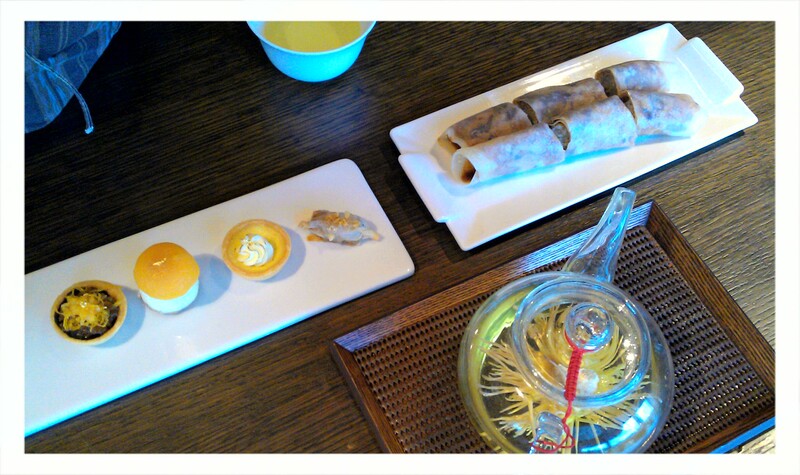 At one point we decided to go to the 4th floor tea house for some sustennance; even the food was a work of art.